For women, hair removal is an almost-inevitable part of feeling comfortable and confident. However, our increasingly demanding lives can mean less available time for such important self-care and grooming rituals. We’ve been busy researching and reviewing the very best bikini trimmers out there – you’ll find our top 5 trimmer reviews below, but before you get to them, here’s our overall top pick. That’s why it’s important to consider alternative tools to make your beauty routine simple and efficient – and bikini trimmers are just what you need before making your way to the beach, or for that quick daily maintenance. What Makes a Good Bikini Trimmer? 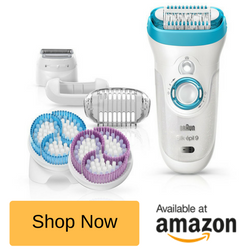 Needless to say, it’s important to be able to purchase a bikini trimmer that is reliable, especially considering that you’ll be using it around one of the most sensitive areas (and private) of your body – only the best shavers and trimmers are considered for pubic area grooming. 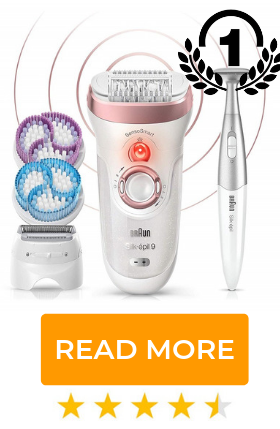 When it comes to conventional girly products, you may be biased towards anything resembling the colour pink or an adorable panda face, but when it comes to bikini trimmers, the reality is really quite different. In fact, durability and performance are the two most important aspects to consider when purchasing a new bikini trimmer. That means that you’ll be able to use it for a long period without needing to worry about it malfunctioning at the wrong time and place, like “down stairs” – and of course, precision and cutting power matters, just as much. Not to be mistaken with lady shavers, bikini trimmers are specifically designed smaller for easy trimming of hair from around the bikini line and groin area. The former is only suitable for shaving large surface areas of skin such as legs and arms. When mentioning design, we aren’t referring to the actual appearance of the product but rather its weight and ergonomic ability. More specifically, making use of a product which is lightweight will ensure that you won’t get cramps or wrist strains during use. 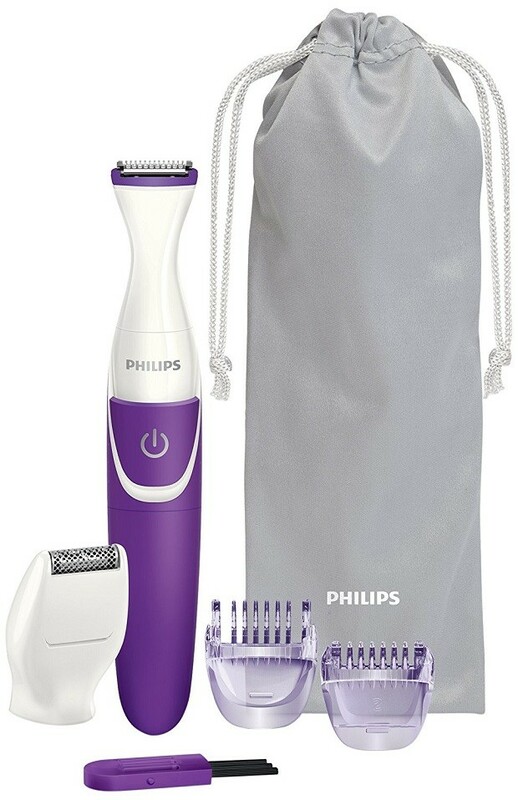 This quality will also mean that the trimmer is portable, which is important for those of you who want to seamlessly carry it around while traveling. This goes hand in hand with ergonomics since a bulky product will make it awkward for you to hold, negating precision efficiency, and you might even end up with some unattractive and mismatched results! Just like with any other electronic product, there are different power options available depending on your preferences and budget. While some bikini trimmers are battery powered, others require being plugged into a wall but they will be unusable when the electricity goes out, thus, be mindful of this little detail, as well. The concept of one-size-fits-all is long dead, especially when it comes to hair removal. Because we all have different body sizes and shapes, it’s essential to use a product which is easy to maneuver and designed to reach all areas that require trimming. Additionally, don’t forget about different trimming hair lengths as you might have a preference for that; you shouldn’t feel obligated to remove it all only to end up itchy and uncomfortable, play around to find the perfect length and style that’s right for you. The Philips BikiniGenie is designed to tailor to your individual needs, as it features a couple of different trimmer heads for either a silky smooth or a neatly trimmed intimate area. It’s our bikini trimmer winner and a best seller on Amazon with a majority of positive 4 and 5 star reviews. Safely trims and shapes hair with ease. Designed to provide a smooth, irritation free finish. Battery operated, cordless and portable. Multiple attachments: clink-on cutting length combs, precision trimmer head, mini shaver head, cleaning brush and storage pouch. Wet or Dry shave compatible – use in the shower. High quality build and reliable function. Depending on the length you’re looking for, you can choose the 0.5mm up until the 3mm or 5mm length. Most importantly, the BikiniGenie has an integrated system which allows for ultimate efficiency and safety, meaning that you’ll minimise the risk of grazing or nicking your sensitive skin. When it comes to maintenance, you can simply wash the used parts with water and this guarantees that the product will be both easy to use and hygienic, and never rusts. The overall design is compact and ergonomic, designed to be portable and accessible, even for first time users. Its an attractive purple colour and built by Philips – a trusted brand in consumer health care products. 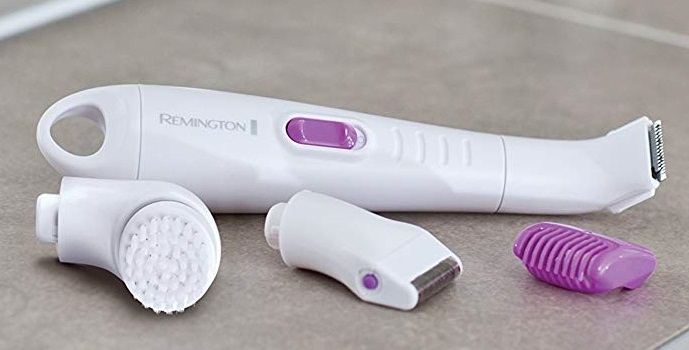 The Remington WPG4035 Ultimate Bikini Kit is an all-in-one trimmer designed with a plethora of features and attachments which makes it easy for anyone to get optimal results. Hypoallergenic nano silver tech shaver. Adjustable cutting length from 2 – 6mm. Spinning exfoliating brush head to help eliminate in-grown hairs and clean skin. Cleaning brush and travel bag. No need to replace batteries as comes with its own built in rechargeable battery and charger. 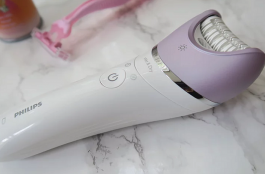 There are a few extra features which every girl should get excited about, including the exfoliating brush which is meant to prevent rashes, razor burns and even ingrown hairs. 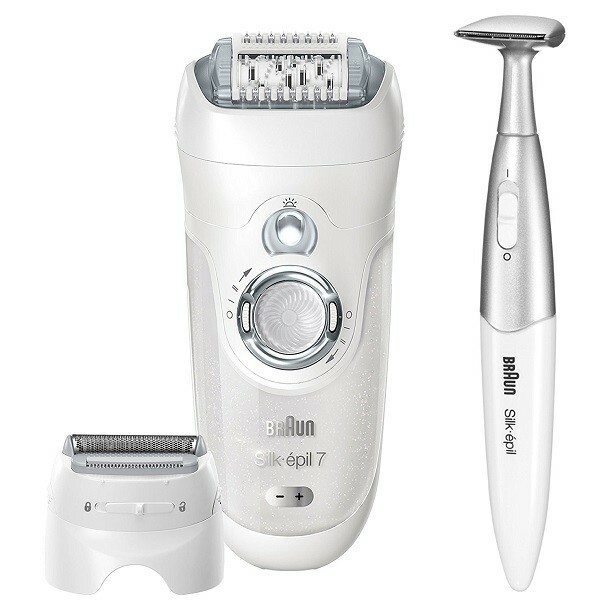 Braun combines the powerful nature of an epilator with the gentle touch of a trimmer. Featuring 40 tweezers which mechanically plucks unwanted hairs from their roots, the Silk-épil 7 has got the power needed to offer a smooth and hair-free body for up to 4 weeks. The best part about the product is the fact that it’s waterproof so you can use it after having exfoliated and moisturized. Water also helps take away the pain of the epilation, especially considering that your skin will be soaked and your pores will open. 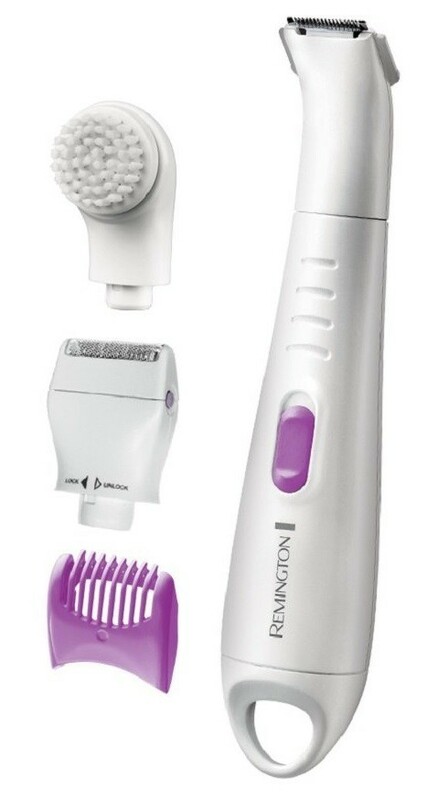 With this epilator comes a complimentary Braun bikini trimming styler which follows a pen-like design. 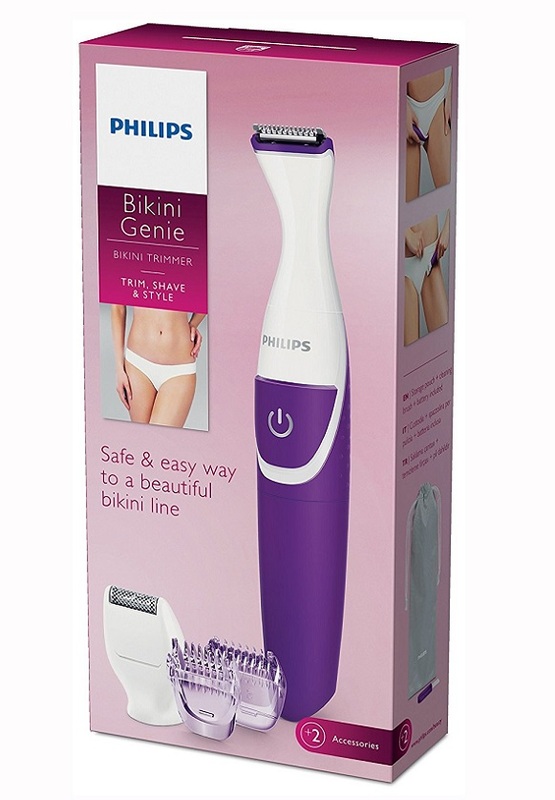 The bikini trimmer and epilator makes for a great hair removal package. Featuring rounded tips which protect even the most delicate skin from irritation, this is a quick and efficient way of removing unwanted hair around the bikini line. 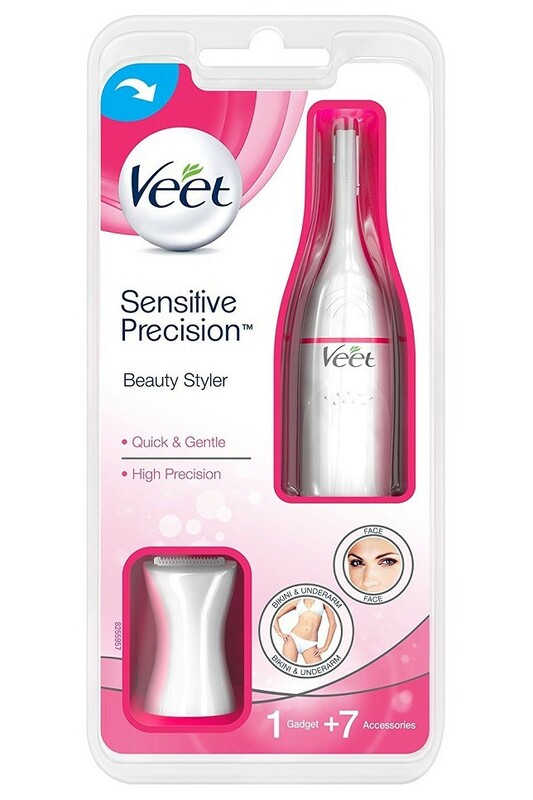 Featuring two sets of rounded blades which gently touch your skin rather than graze it, the Veet Sensitive Precision Beauty Styler has been constructed as a versatile product capable of being used on more than one sensitive area, including face hairs, bikini area, eyebrows, and underarm hair. It’s a versatile trimmer /beauty styler! We had to mention the Wilkinson Sword Quattro because it’s amassed some glowing reviews and makes for a very useful 2 in 1 razor with 4 sharp blades, and a moisturising element enriched with Aloe and Vitamin E. At the bottom of the beautifully shaped handle is an electric trimmer for trimming down thicker pubic hairs and grooming around the bikini region. Whether you are tired of the redness and soreness of waxing, or whether you are looking for a product which shies away from the exhausting amount of hours needed for epilating, bikini trimmers are an accessory each woman should have close to her. Ideal for daily maintenance or even emergency hair removal moments, this personal life-saver is capable of getting rid of unwanted hair in a matter of seconds. Yes, we did say seconds and the results are efficient – leaving your body bikini ready. Moisturizing the area you’re about to shave will make it easier for you to complete the process without nicking, grazing, or even cutting yourself. Nonetheless, forget about perfumed creams which can make your skin flare up. Instead, go for a gentle and unscented alternative which will ultimately prevent irritation and over drying the area. This is one aspect that is highly overlooked and we don’t blame you – not many people know that dead skin and dirt can actually build up on the blade, especially when used repeatedly. When this does happen, though, irritations can easily lead to infections and ingrown hairs. One way to avoid this from happening is by exfoliating the area before shaving – this will extend the life of your blades while decreasing the chances of cutting or irritating your sensitive skin. Although we all want baby-like smooth skin, shaving against the direction of hair growth is not the best option. When you increase the number of strokes you apply against the skin, you increase the chances of razor burn by applying added pressure on an already-delicate area.